I'm running a 'Beyond The Basics' Photography Workshop at Thorndon Park in Brentwood this coming Saturday, I know there are a few spaces left, so book on quick! The next day I'm at Hanningfield Reservoir for a macro workshop, then Fingringhoe the following week for another macro one, then another 'Beyond The Basics' at Bedfords Park on the 1st September. I'm then back up to Fingringhoe on the 2nd September for a 'Know The Basics' workshop, and I'll do another of those at Hanningfield the following week - busy busy busy! 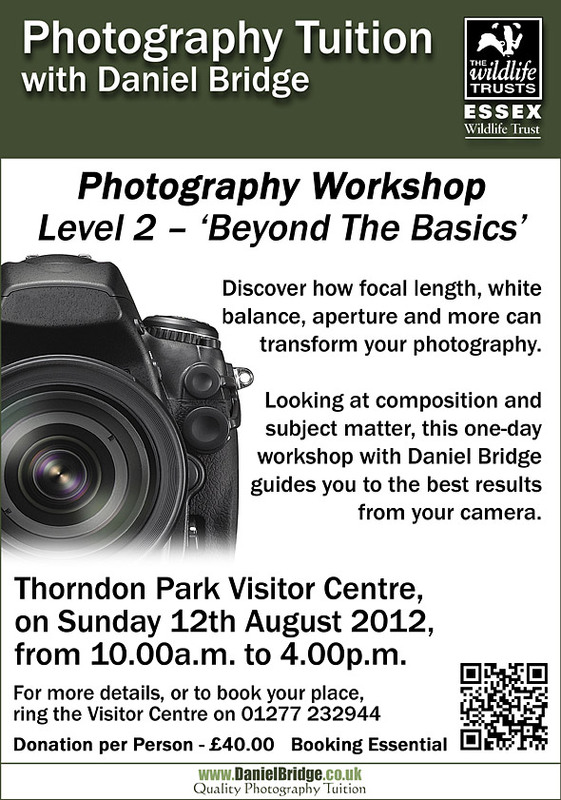 Click the poster to view the different workshops I've got coming up - choose your level!